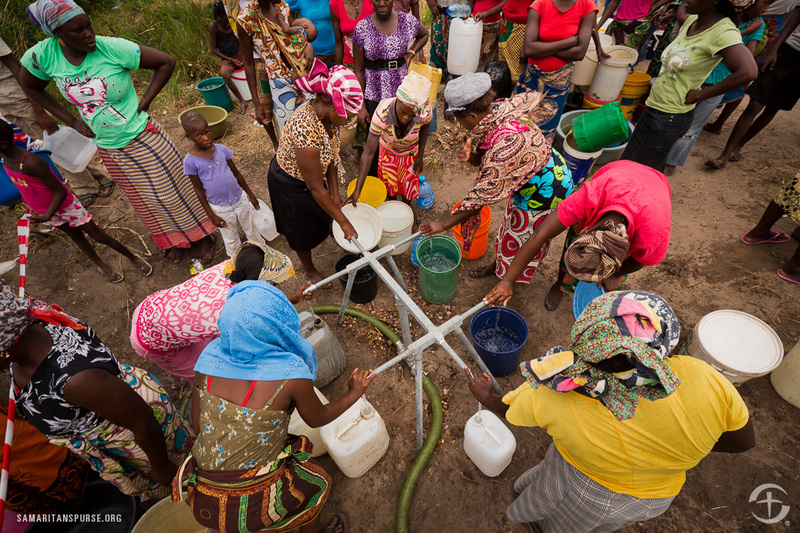 Last year, Samaritan’s Purse water, sanitation, and hygiene projects impacted more than 500,000 people in 11 countries. In this photo gallery, take a look into the lives of some we have helped. 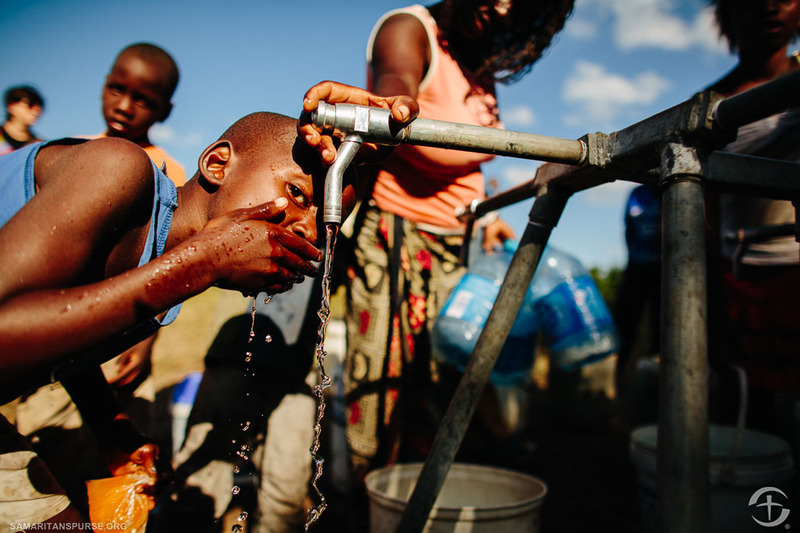 Clean water doesn’t just improve these communities—it’s saving lives. 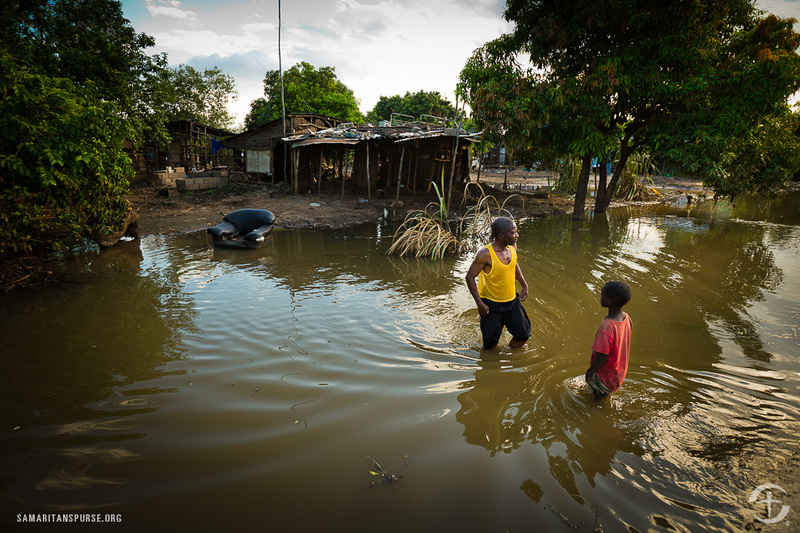 The beginning of the wet season in Mozambique brought catastrophic flooding in several areas of the country, causing more than 186,000 people to be forced from their homes and many local farmers to lose their entire livelihoods. 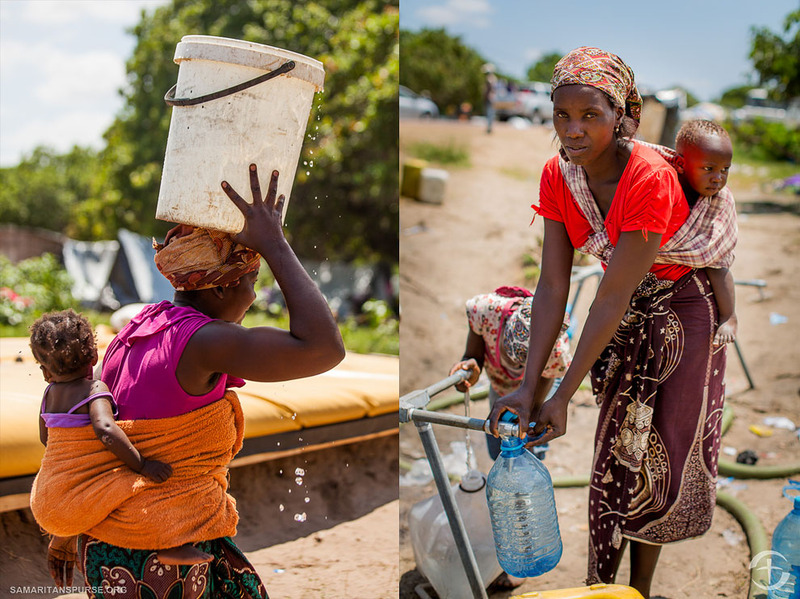 Samaritan’s Purse responded with emergency relief supplies for tens of thousands of families, including 1.9 million liters of clean drinking water for more 10,600 families at six water points in displacement camps. 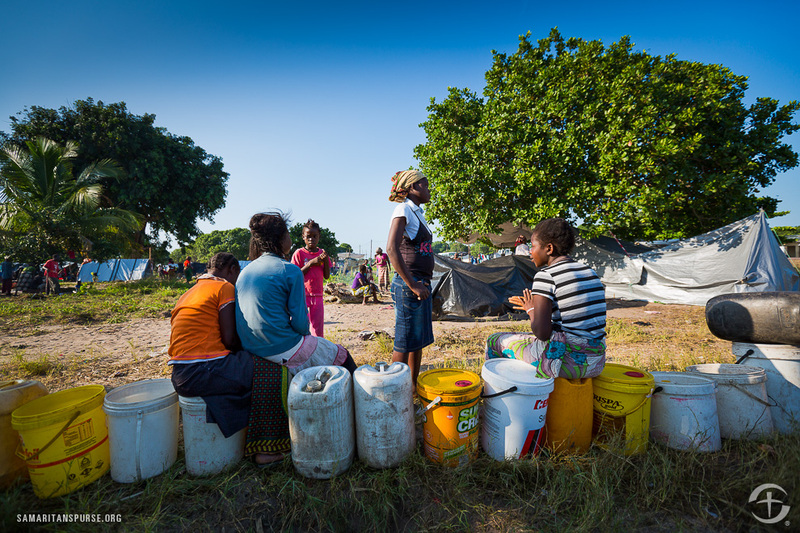 Our disaster relief team in Mozambique distributed 1,477 jerry cans and 1,820 buckets to people who were forced to leave their homes after the flooding. 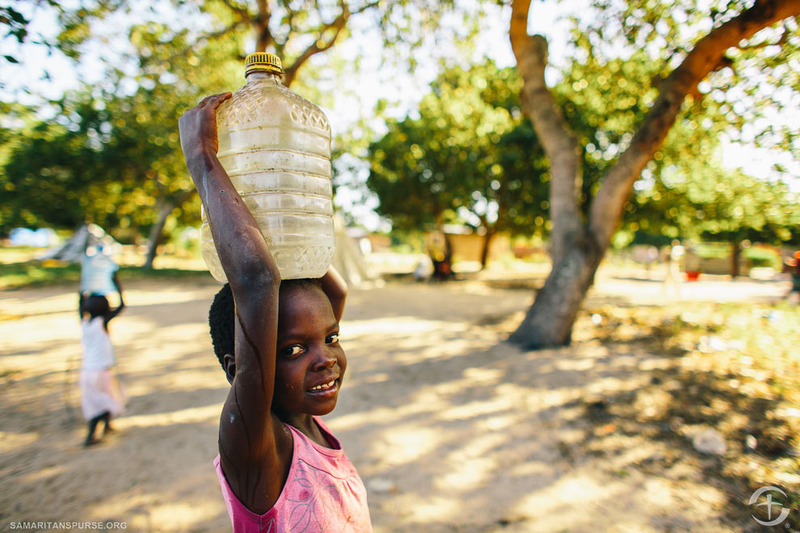 In addition to bringing clean water to the people of Mozambique, our team educated 43,752 people about health and hygiene and built 28 hand-washing stations and 364 latrines. The flood in Mozambique affected 238,000 people. 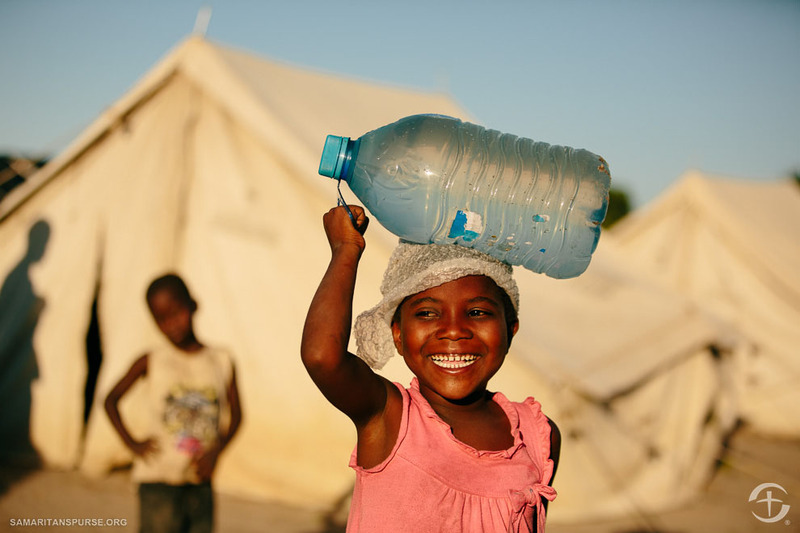 The lack of clean water caused illnesses to arise among the displaced communities. 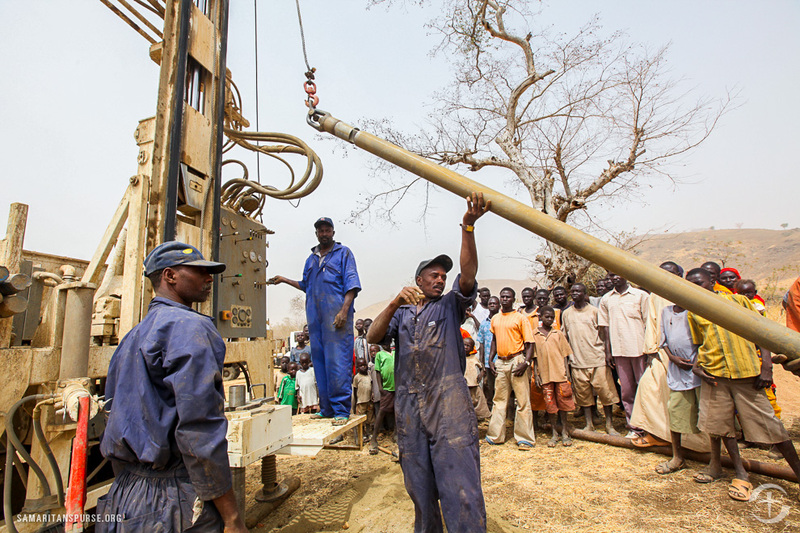 Samaritan’s Purse is drilling wells in South Sudan to help alleviate the need for water. Of 900,000 people living in this area, 70 percent of them don’t have access to clean water sources. 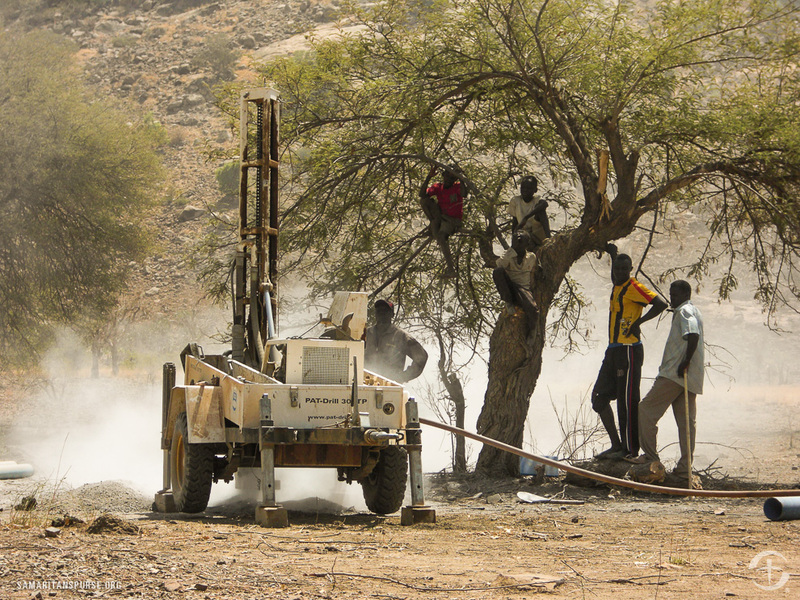 Expensive drills are needed to reach 250 feet underground in order to access the water needed to provide new life for people in this community in South Sudan. 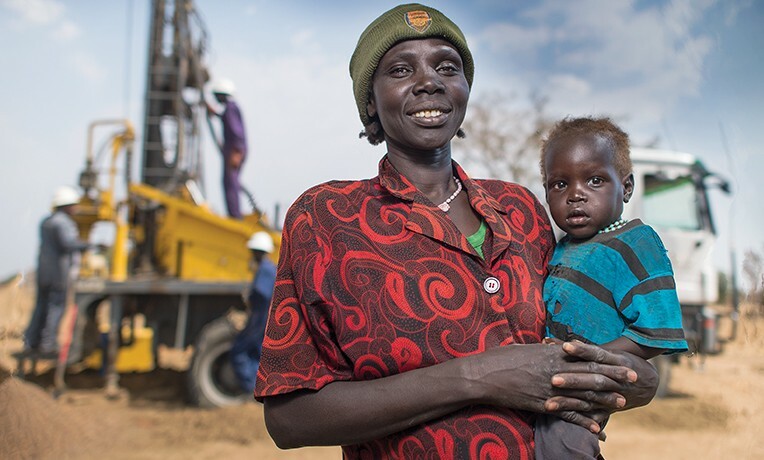 “More people die because of lack of access to clean, safe drinking water than AIDS, measles, and malaria combined,” said Samaritan’s Purse South Sudan Country Director David Philips. 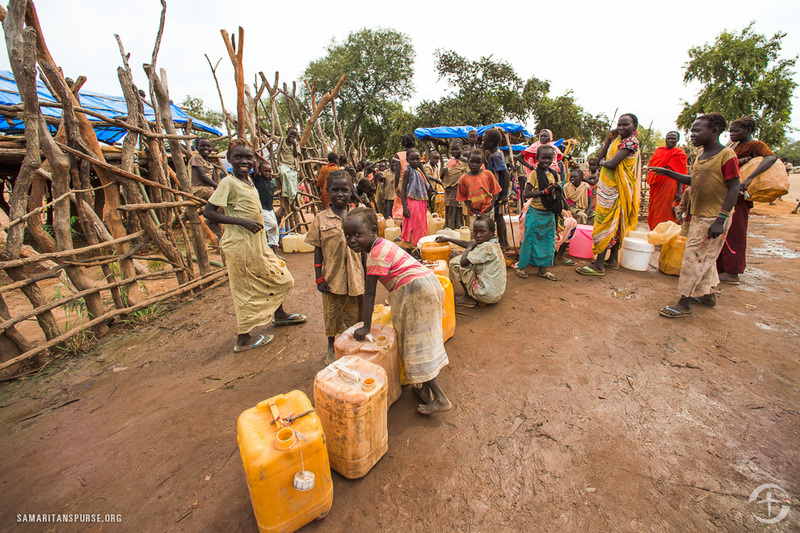 Improving access to clean drinking water would cut the overall health risk for this South Sudan community in half. 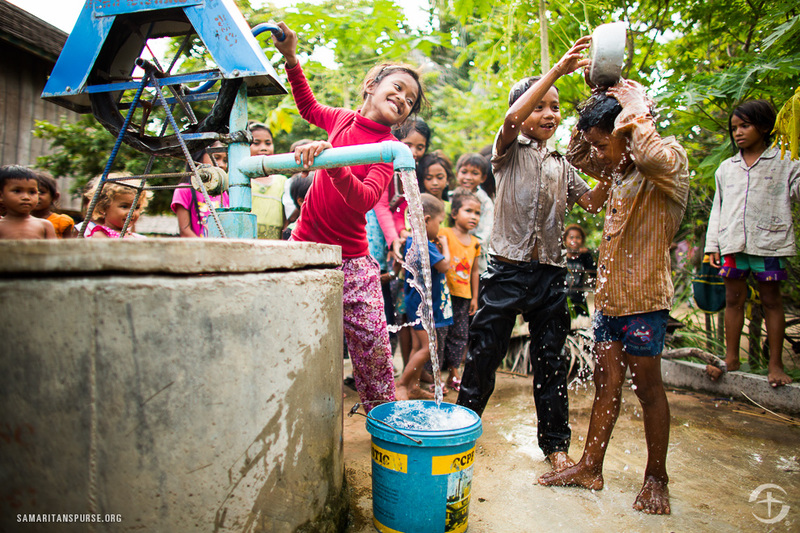 Children in Cambodia enjoy pumping water from their new well. One well can serve up to 60 households. 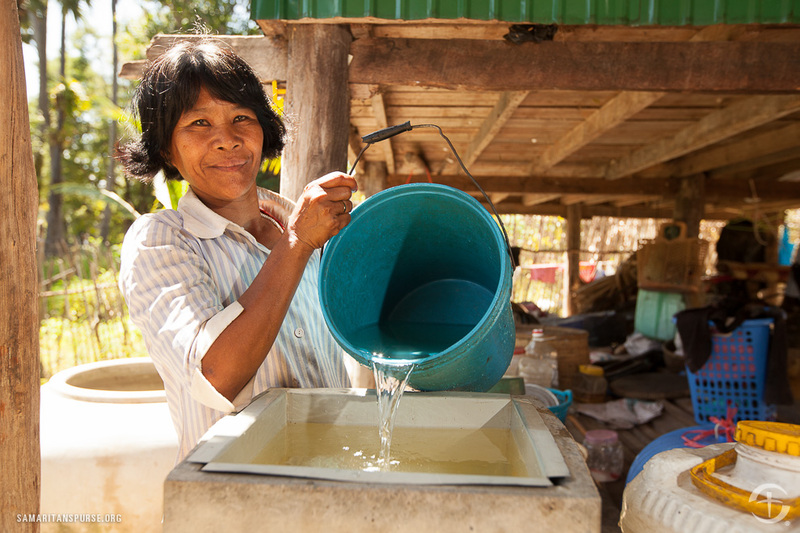 Samaritan’s Purse provided BioSand Filters in Cambodia. 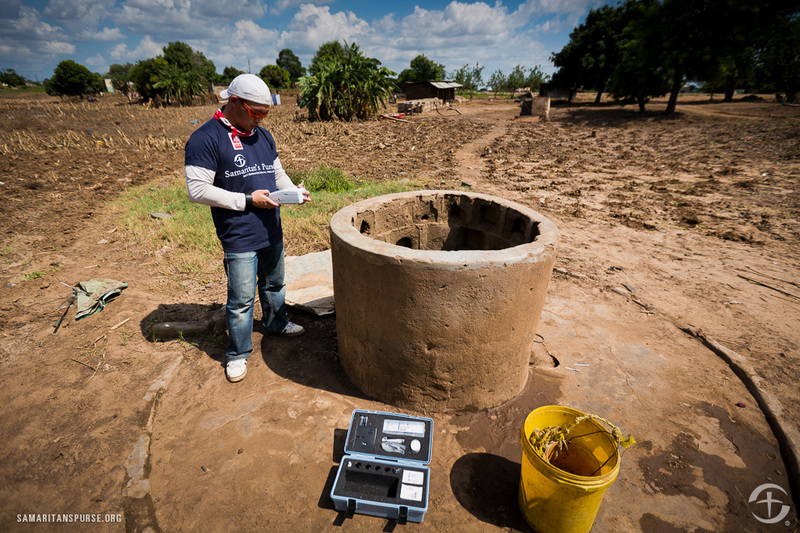 The filters are easy to use, which means anyone can run water through the filter to receive clean drinking water. 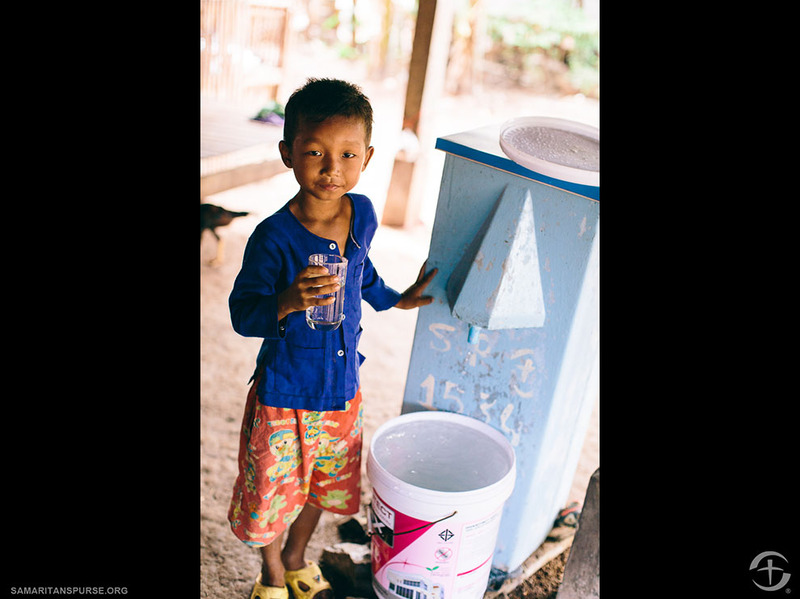 BioSand Filters not only make clean drinking water more readily available, but they are also easily managed by the locals in Cambodia. 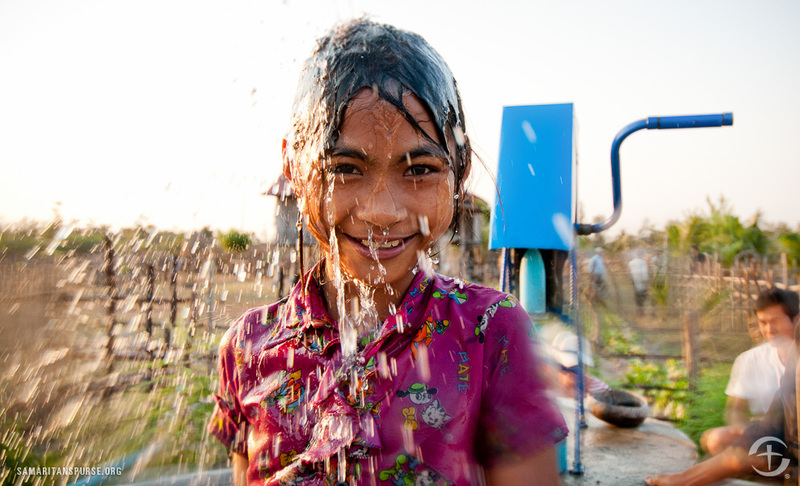 Cambodian children learn about proper hygiene practices, which can reduce the risk of sickness. 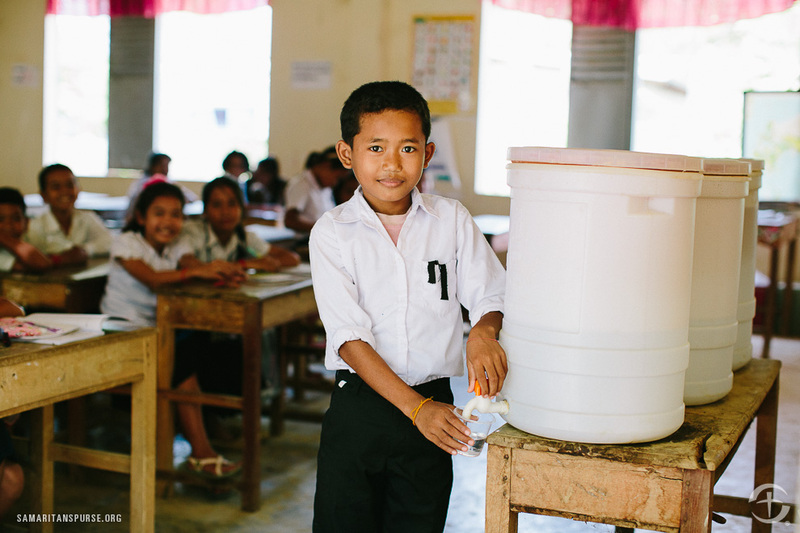 Hand washing is an important skill taught in the hygiene classes at children’s schools in Cambodia. 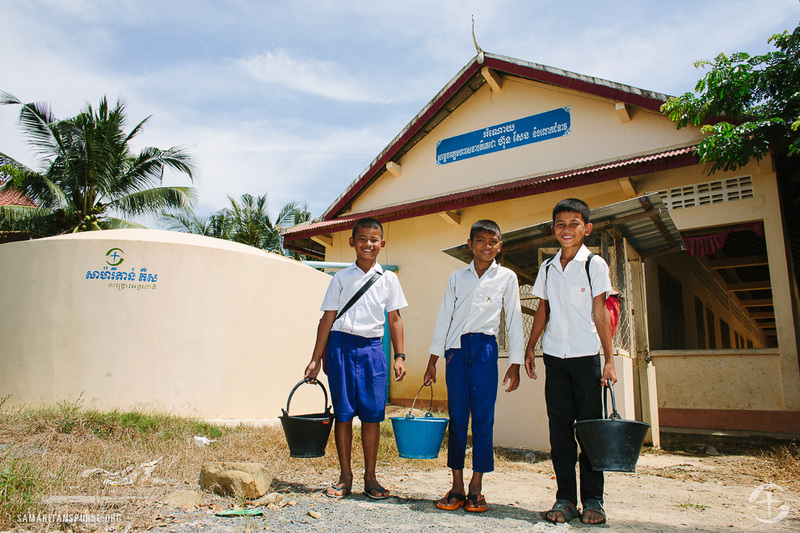 Because of Samaritan’s Purse projects, some children in Cambodia have their own water filters in their classrooms. 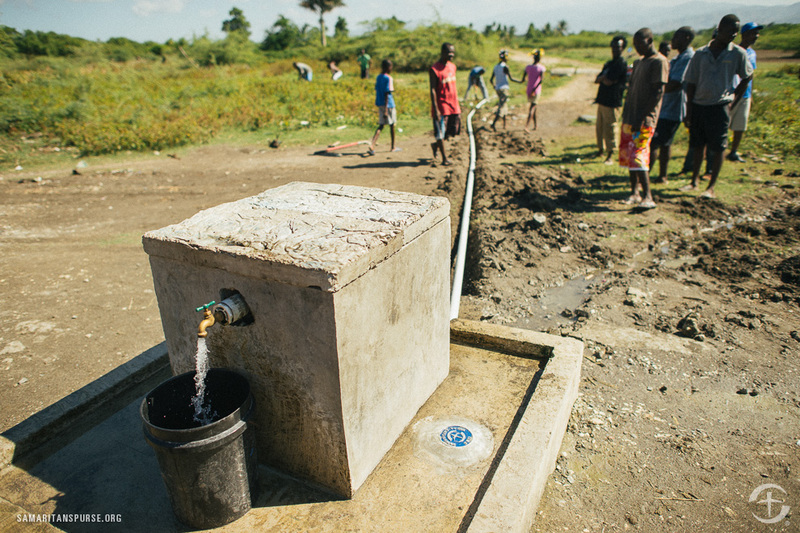 Samaritan’s Purse water projects in Haiti have been improving the local health tremendously. 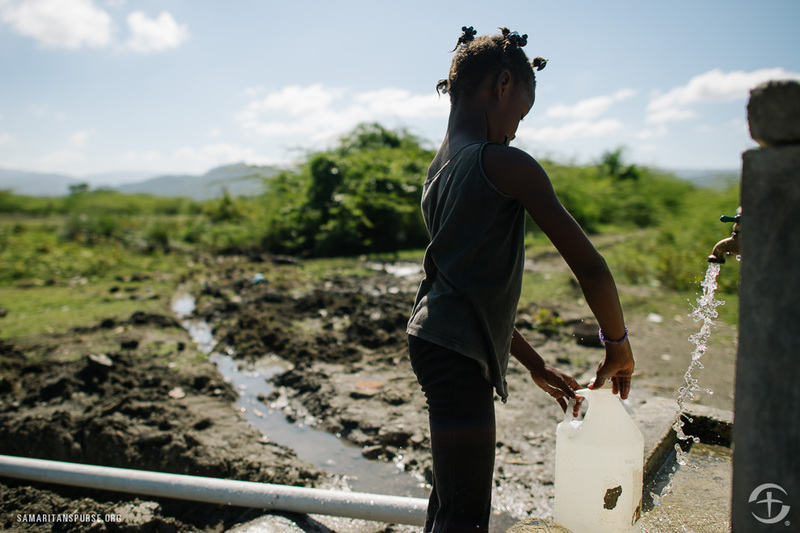 Almost a third of Haitians do not have access to an improved water source. A shocking 83 percent of the population does not have access to proper sanitation facilities, such as latrines or septic systems. 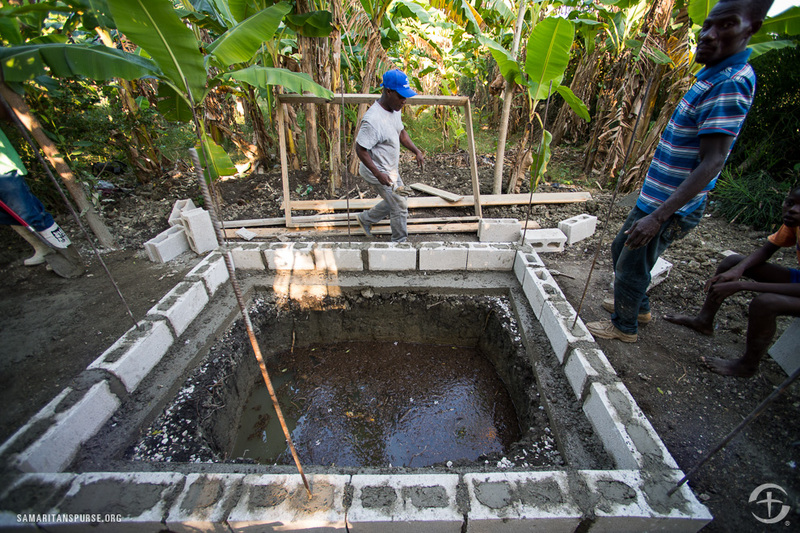 Last year, we drilled 18 permanent wells, constructed 19 sanitation facilities (bath and laundry pads), and built 92 permanent latrines. We educated more than 6,000 people through our participatory hygiene and sanitation transformation program and trained elementary school children in basic health and hygiene. 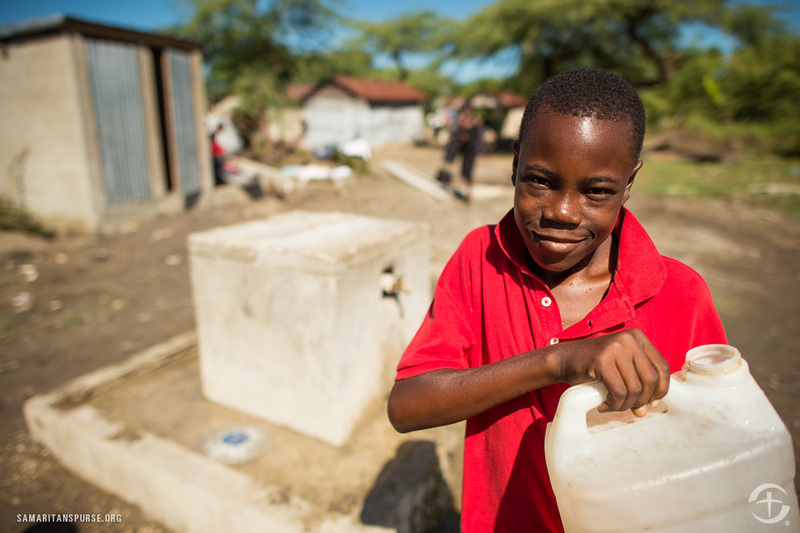 Samaritan’s Purse provides more than just clean water and hygiene education to communities. As a result of the water projects in Haiti, around 400 men, women, and children graduated from the discipleship program offered in Sentandre. 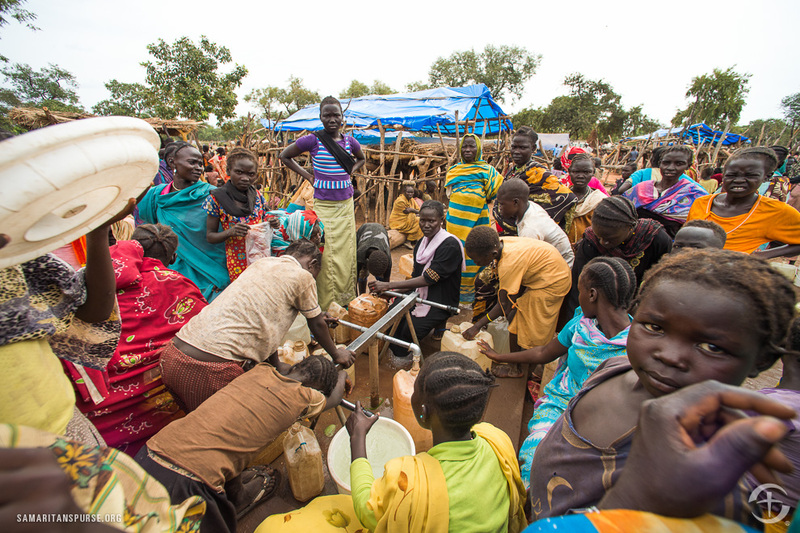 South Sudan Wells Thousands of people in South Sudan lack access to safe, clean water. 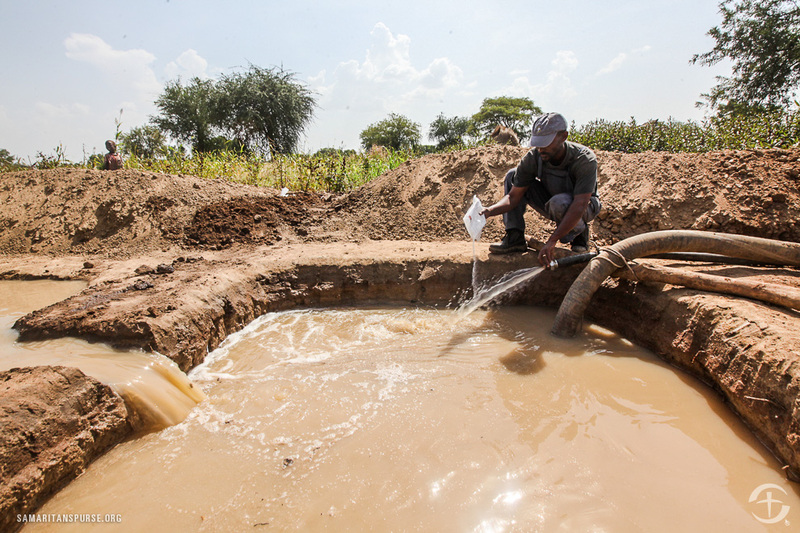 Samaritan's Purse is helping by drilling wells, providing refreshing water for communities thirsting for hope. 5 Wells in 5 Days is a God-sized effort to raise enough support to drill wells for struggling communities, and reach those in need with clean water and the promise of a new life in Jesus Christ.